Human Resources are the people who work within your business making it profitable. They are, for want of a better term, the blood and bones of your business. Sometimes referred to as the talent, workforce, people and cogs of the wheel, they are one of the most important areas of your business, and they are a cost. Any cost that a business incurs has to have management as it affects profitability. The role of human resources in any capacity is the management of people. Depending on the business size, HR may encompass an entire department. Usually it will be a single person’s job, or a position that management holds as needed. Human Resources Management (HRM), is the management of people within an organisation. As businesses grow, it’s important to have consistent procedures and structure in place. This includes the policies and training for employees on how to do their job. HRM handles the on-going relationship between the employee and the business. This relationship is built on before, during and after the period of employment. HRM handles on-boarding of new employees and the roles they will perform while at work. The management structure also combines leave entitlements and terminations of any staff. Human Resources Management works close with other business requirements. These can include Time and Attendance and Payroll most often, but there are many other areas. Manufacturing, retail, warehouse and other industries all need HRM. Human resources is for the support of the employees. It doesn’t matter the size of the business, HR is needed in every business with more than a single employee. They offer employee support across many channels that affect workers within the business. These include but are not limited to; hiring, training, policy enforcement and termination. Employees should also feel comfortable addressing any employment concerns to the HR representative. The HR department might only be a casual role by the business owner as necessitated. If it’s a multi-person department within a larger business, it will be a more formal unit. In either case, the support for employees is the end goal so that the business can continue on as normal. Accentis Enterprise has many HRM features within the Payroll and HR module. With Accentis Enterprise being a fully-integrated solution, more advantages become available to you. Seamless data-linking allows for near-instant accessibility of information across the entire business. Being linked directly with Payroll, you also use the latest mandated features the ATO requires. This includes Single Touch Payroll (STP), or One Touch Payroll. Many fields are able to be user-defined for a custimised version that suits your business. Some information about your business will always grow, and Accentis Enterprise stays true to the value of allowing unlimited number of resources added to the database. Human Resources and Payroll features align with each other for many purposes. This means your business will improve efficiency because there is less multi-entry requirements. Using Accentis Enterprise to manage your employment details will improve your business. With a powerful and robust database that seamlessly shares data, you can spend time on other business needs. A small to medium business is sometimes unlikely to notice how HRM functionality has slowly been ingrained and utilised throughout. The nature of any workplace is to do what works and comes easy. Casual HRM is possible in a small team until the business grows too much. Spreadsheets that record time and wall calendars for holidays are not a professional or future-proof business choice. 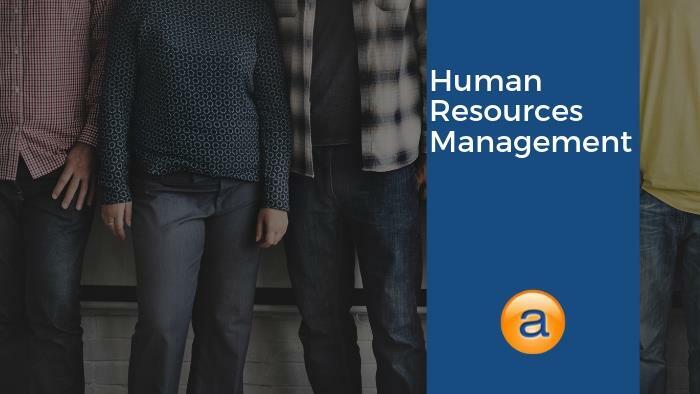 To really manage human resources and run a successful business, you need an ERP solution like Accentis Enterprise. A purposely developed software program for small to medium-sized business, giving you features that you need. The payroll and HR module within Accentis Enterprise can help break casual barriers down while implementing good business practice for the future. Because it’s a single software solution, the efficiency gained will make it much easier to adopt as the business grows further still. Human resources are people and as a business grows, more people need to be involved. More cultures, ideas and procedures will be introduced. It’s never too late to start managing the HR side of your business. What sort of HRM system do you have in your business?